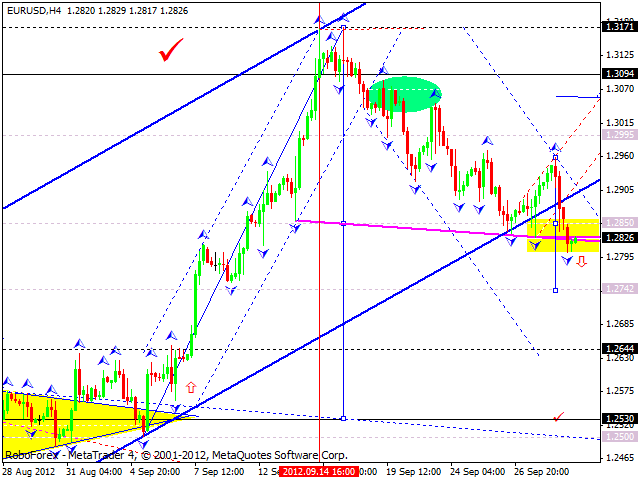 The EUR/USD currency pair couldn’t continue an ascending wave. 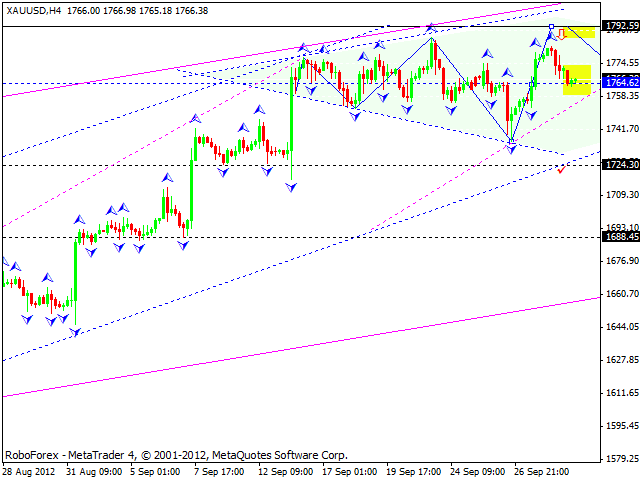 The market moved downwards and renewed the lower border of the first wave. Thus we may assume that the market is going to move inside a narrow trading range and continue falling down inside the third wave of this correction. Predicted targets are at 1.2740. After Euro leaves the above-mentioned range, we’ll specify the targets. 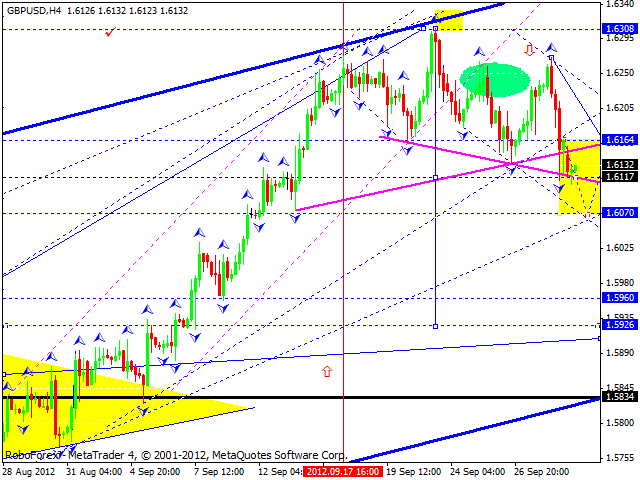 The GBP/USD currency pair continues moving downwards inside the third wave. Today the price is going to renew the lower border of the first wave. The pair is expected to move through a trading range and continue falling down. Predicted targets are at 1.5960. After Pound leaves the range indicated at the chart, we’ll specify the targets. The USD/JPY currency pair has completed a correction of the first ascending wave. Today the market is going to break the top of the first wave. The pair is expected to move through a trading range indicated at the chart and continue forming the third ascending wave. Predicted target is at 0.9500. Later the pair may return to 0.9400 once again. 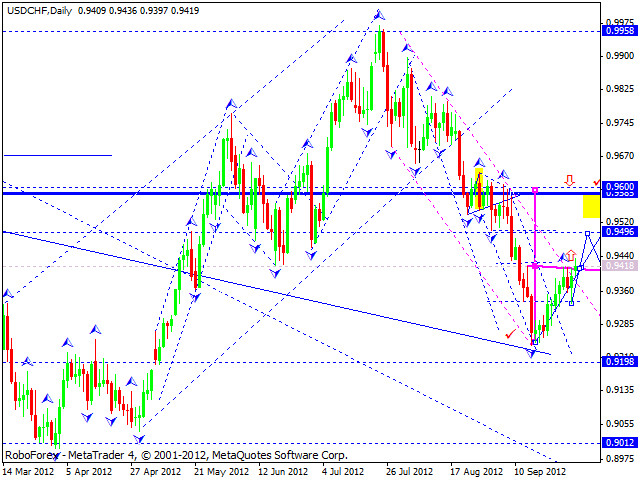 The USD/CHF currency pair has grown up, but has been stopped by the lower border of a current trading range. 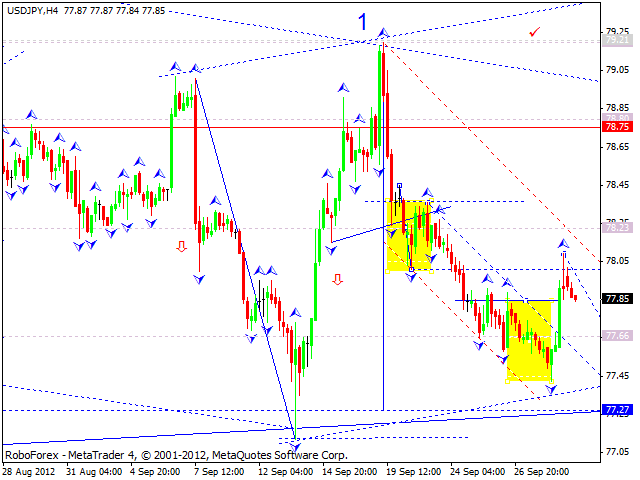 Today the price is expected to return to 77.70 and then continue falling down towards 77.30. Gold has fallen down to a predicated level 1764. The instrument may move downwards a bit more and then we can expect it to start growing up towards 1792.